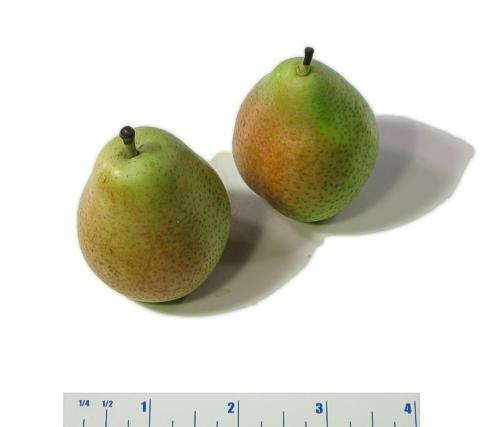 General Information: Forelles are one of the smallest varieties of pears, a little larger than Seckels. Their symmetrical body, often bell-shaped, begins with a small round base that tapers evenly to a short neck. Their stem is usually longer and more narrow than a Seckel. For what they lack in size, Forelle pears make up in sweet flavor and beautiful appearance. Forelles are one of the most colorful pears. Their red lenticles appear in bright contrast to their brilliant yellow skin when ripe. A bowl full of ripening Forelles provides a beautiful and edible centerpiece, particularly during the holidays and other special occasions. 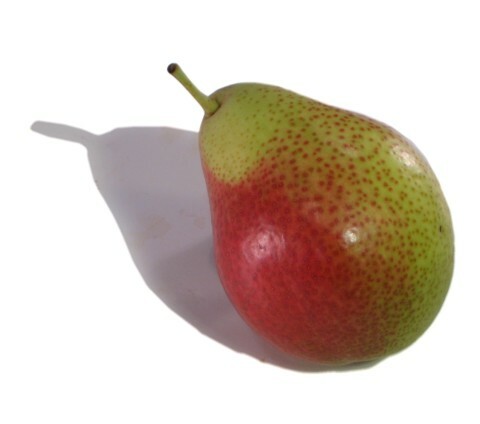 Forelles are one of the few varieties of winter pears that do change color as they ripen. An attractive red freckling, called "lenticles," remains brilliantly visible while an underlying green skin turns bright yellow as they ripen. Like all pears, Forelles ripen at room temperature. For best results, place them in a closed paper bag or fruit ripening bowl. The length of time necessary to ripen Forelles depends on how ripe the fruit is when purchased. It may take several days before Forelles begin signaling ripeness. However, the wait is rewarded with a beautiful transition in the fruit's appearance, and a delicious, sweet flavor with a slightly crisp texture. Applications: Because of their small size, Forelles are usually not the best choice for most recipes; the exception being those developed specifically to showcase the Forelle's unique characteristics. It is their small size, however, that make Forelles a good choice as snacking pears. They are very sweet, with a flesh that is slightly more firm than most other pears. Their size and naturally sweet flavor make Forelles a winner in lunch bags and boxes, particularly among children. History: Forelles are a very old variety, and are thought to have originated sometime in the 1600's in northern Saxony, Germany. The name Forelle translates to mean "trout" in the German language. It is believed that the variety earned this name because of the similarity between the pear's brilliant red lenticles and the colors of a Rainbow trout. In the 1800s, German immigrants introduced Forelle pears to the United States. Requiring a low chilling stage, these special pears now grow in limited supply in the Northwestern states of Washington and Oregon and also California.